Laura Canfield Spencer Dayton was born in New York City, in the Dayton family home on Washington Square. She was educated at St. Mary’s Hall, Burlington, New Jersey. After completing her course she spent several years in travel in America and abroad. 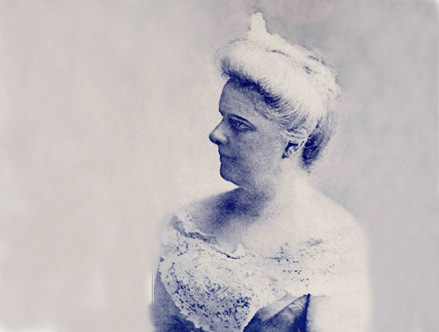 In 1880 she was married to Benjamin Arthur Fessenden, of Boston, Massachusetts. Three years later Mr. and Mrs. Fessenden came to make their home in Chicago. Mrs. Fessenden’s first book—a narrative poem—was published when she was sixteen. From that time until her death, she wrote continually. Her work was published in many periodicals and in book form. Mrs. Fessenden was interested throughout her life in progressive thought, both in the sphere of literature and in civic matters. She was for many years a member of the Chicago Woman’s Club—The Fortnightly of Chicago, The Illinois Society of the Colonial Dames of America, and The Founders and Patriots of America. Her number in the National Society of the Daughters of the American Revolution was 338. She was a member of the Chicago Chapter; she formed the North Shore Chapter and was its first regent; she was one of the founders of the Kaskaskia Chapter, and was an Illinois State Regent, 1905-1907. Mrs. Fessenden came of a long line of distinguished ancestors, and she was greatly interested in tracing the ramifications of the various branches of her family. Mrs. Fessenden died in Chicago in May, 1924. Her love of country was a dominant characteristic, and her family life was beautiful. Her many friends will always remember the gracious atmosphere of her home, as surrounded by her beloved books and heirlooms, she gave help and courage to those about her. Mrs. Fessenden’s life and character may be epitomized in one sentence—She was an old fashioned gentlewoman with a youthful modern heart.